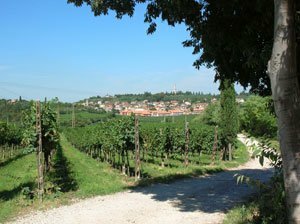 Our farm is located on an historically significant footpath called Tamburino Sardo. Custoza’s village center hosts the start of another Cammina Custoza path: together these two paths cover the most beautiful areas of the village, through small woods, vinyards, hills and valleys, crossing runnels and superb views… a beautiful area for walking, cycling or pony trecking. Another local place of interest is the Ossario (charnel-house), built to honour the fallen soldiers of the independence wars, or visit Tamburino Sardo’s house, a heroic soldier cited in the famous book by Edmondo de Amicis – Cuore. Some more places to visit during your stay are: Aquatic Park Pico Verde, Golf Club Verona, Golf Club Villafranca, and Riding Schools. 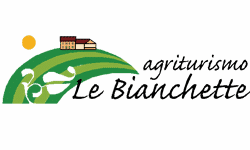 Try some of the local Custoza and Bardoline wines in one of the many specialist wine shops – and perhaps take some home too! Visit the medieval ‘village of mills’ situated on the Mincio river – unique and full of charm. From here you can take a walk on the ancient Visconteo bridge towards Valeggio castle. Take a walk or cycle the Mincio river towards the stunning Garda lake. Valeggio sul Mincio is famous for the traditional production of tortellini; here you can taste them in every restaurant. You can’t miss a visit to the Sigurtà Garden – hailed as one of the most beautiful gardens in the world. See the famous fair city celebrated in one of Shakespeare’s masterpieces; Romeo and Juliet. Visit Juliet’s house, see the famous balcony, and visit the grave of sweet Juliet. 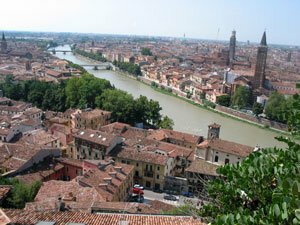 Another must during your stay is a visit to the Roman and ancient parts of Verona. See the arena, roman theatre, Ponte Pietra (roman bridge), Gavi’s Arc (triumphal arc, with original Roman pavement), Medieval Verona, with the famous Castelvecchio (old castle), S.Zeno Basilica, and Arche Scaligere (graves of the medieval lords of Verona, Cangrande della Scala). Piazza Bra, Piazza delle Erbe and Piazza dei signori are some of the most beautiful squares in Italy. You can easily follow the historical paths of the city and get the best views on foot. The Opera season in Arena is unmissable – see ballets, shows and concerts at the Roman Theatre. Every town on the shores of Lake Garda is unique. Each village (situated either on the Veronese or Bresciana side of the lake) is individually full of history and beautiful sights. In Peschiera you can enjoy a family day out at the amusement park Gardaland (the largest amusement park in Italy) and movie studios. In Pastrengo, visit the Safari Zoo Park Natura Viva. From Malcesine, you drive or walk up the slopes of Baldo Mountain – and take a ride on the new cable car to enjoy panoramic views of the lake and surrounding area. Renaissance and medieval history awaits in Mantua. Visit the Duke’s Palace, Tea Palace, San Giorgio Castle, Piazza delle Erbe (where the spice market traditionally was) and S. Andrew’s Basilica (where you can see an original Mantegna painting). See the city from a different angle on a boat trip around 3 lakes surroundigs Mantua. Verona’s mountains are full of natural paths. You can’t miss Molina waterfalls and Bolca, the biggest archaeological fossil site in Italy. Beautiful rolling hills and villas, and of course, great wine.